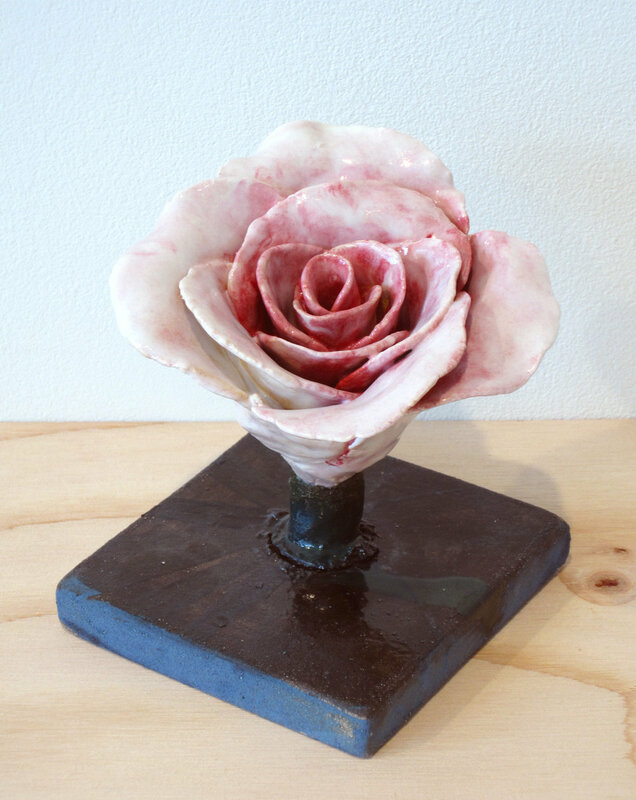 Bouquet, 2013, glaze on stoneware, 15" x 15 1/2" x 9 1/2"
Ring of Flowers, 2013, glaze and underglaze on stoneware, 6" x 11 1/2" x 11"
The Leg, 2013, majiolica on stoneware, 40 1/2" x 10 1/2" x 12 1/2"
A Shirt (Worn, Washed & Pressed),2013, majiolica on stoneware,14 1/4" x 10 3/4" x 2"
The Bald Spot, 2013, silver luster on porcelain, 9 3/4" x 7 1/2" x 1/16"
Here, Now, 2013, silver luster on porcelain, 5 1/4" x 3 1/2" x 1/16"
Flowers From His Garden, 2013, gold and silver luster on porcelain, 9 3/4" x 7 3/4" x 1/16"
Flowers from The Oakland (Stay the Way You Are), 2013, gold luster on porcelain, 8 1/4" x 6" x 1/16"
Roses, 2013, glaze and underglaze on stoneware, 7" x 10" x 8"
Romer Young Gallery is pleased to present its second solo exhibition with artist ERIK SCOLLON. A Moment Lasts Forever Until It’s Gone presents a new series of ceramic objects that explores our desire for the continual renewal of presentness and our very human attempts to hold on to that state. Scollon’s first exhibition with the gallery, The Urge, playfully satirized a quote from Adolf Loos’ essay Ornament and Crime. 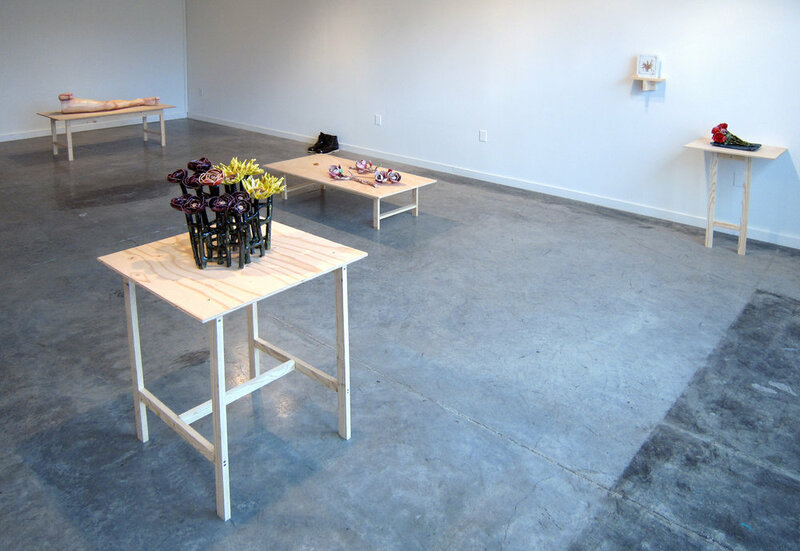 The essay became the conceptual underpinning for the show, inspiring a series of pieces that questioned and re-contextualized our relationship to vessels and anti-vessels. For this new exhibition, A Moment Lasts Forever Until It’s Gone, Scollon approaches the work from a much more personal perspective and presents us with a series of objects that are a physical manifestation of himself and his mid-life look at the body, hope, love, beauty, heartbreak and their insistent impermanence. At the heart of this exploration is the idea of time as an instrument and arbiter. We all share in this universal presence and impermanence, but through the art of creation Scollon finds for himself, as well as for others, the possibility of transcendence. The artist uses a series of porcelain photographs, ceramic flowers, and other things creatively borrowed from vanitas painting to use as an engine of renewal. 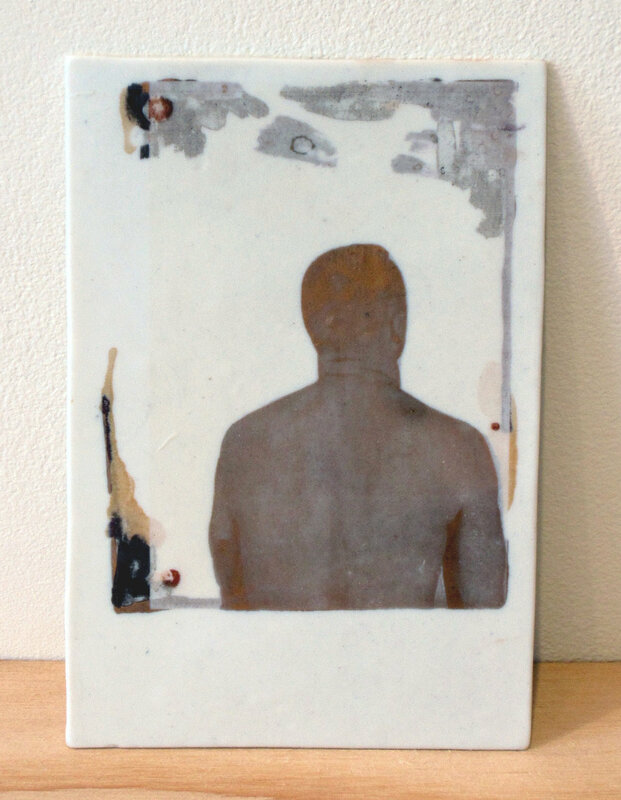 "The works give permanence, through ceramic, to our bodies, to the things that are here, now, but not forever… Our bodies are insistently here, sometimes, and then at other times, so easy to ignore. 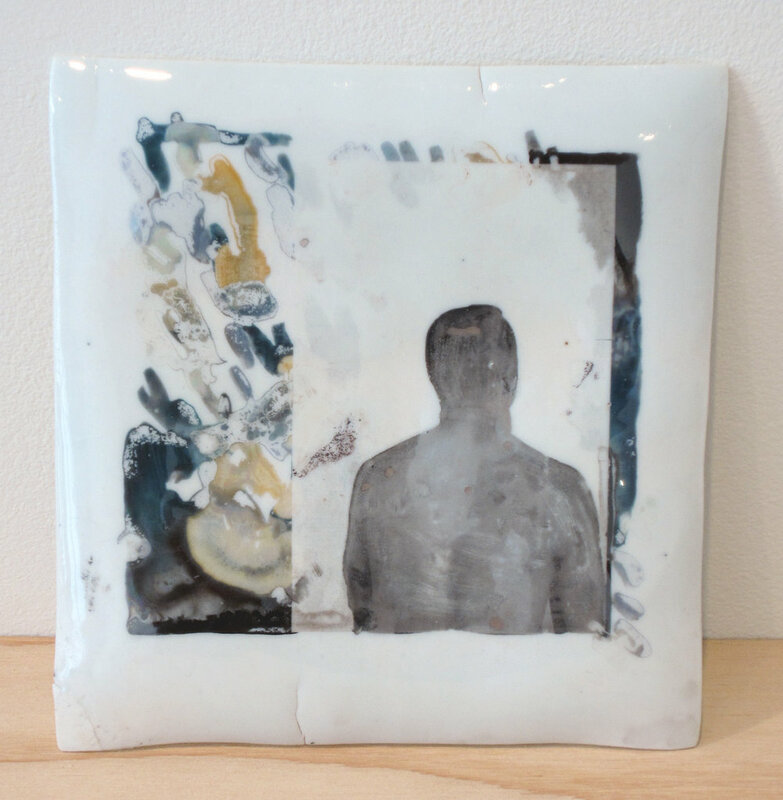 Ceramics can carry on a permanent unchanging life if cared for. Or can be shattered beyond repair just as easily." In this exhibition fleeting objects are built in a way that puts a premium upon physical presence. The porcelain photograph and flowers series - strong, beautiful, hopeful representations of things that ultimately will change - are invested with meaning and memories about people, places, events that are at once personal and collective. ERIK SCOLLON is an artist and educator based in Oakland, California. 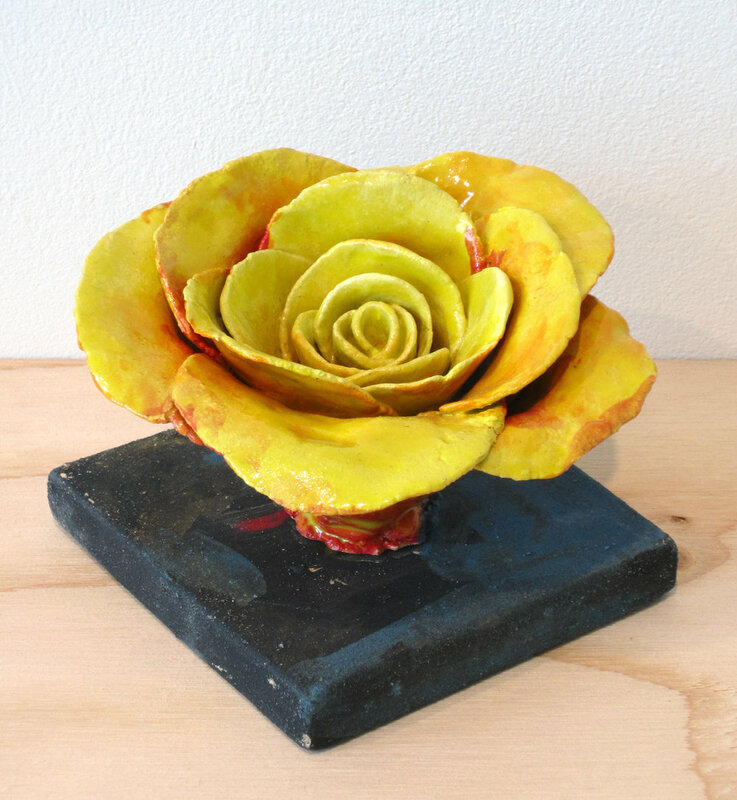 Scollon was recently the artist in residence at Albion College, MI and Watershed Center for the Ceramic Arts in Maine. In 2008 Scollon was selected to participate in Yerba Buena Center for the Arts’ Bay Area Now 5 show. His work has been exhibited and seen in venues as diverse as galleries, craft fairs, museum shows, and gay biker bars. He teaches at California College of the Arts.